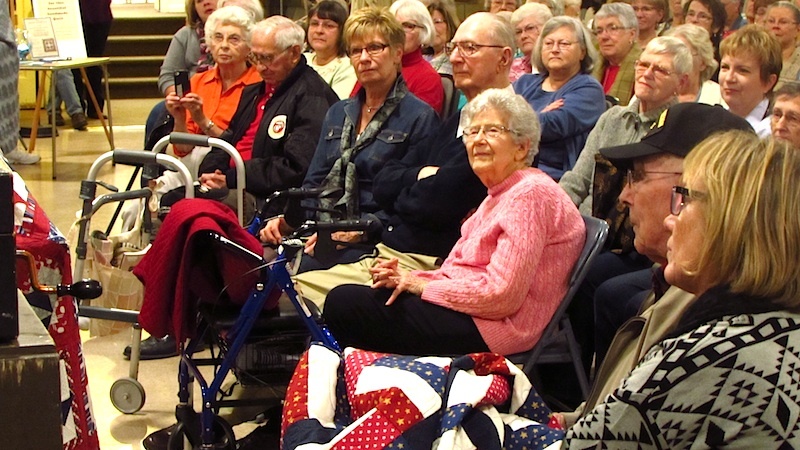 More than 100 people packed Eckert Hall Nov. 11 for the first, of what we hope are many, Valor Quilt presentation as part of our annual Heritage Quilters quilt raffle and program. 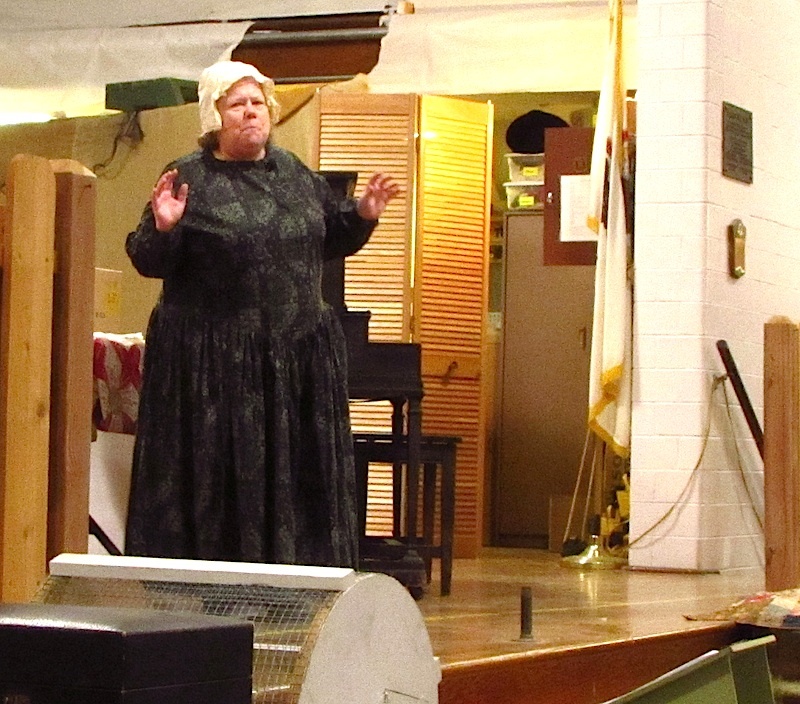 This year's Civil War-themed effort was spearheaded by Sandy Schweitzer, Holly Scott and Carol Sek – punctuated by a special guest appearance from Mary Ann "Mother" Bickerdyke, as portrayed by Crystal Lake's Kathy Jayko. 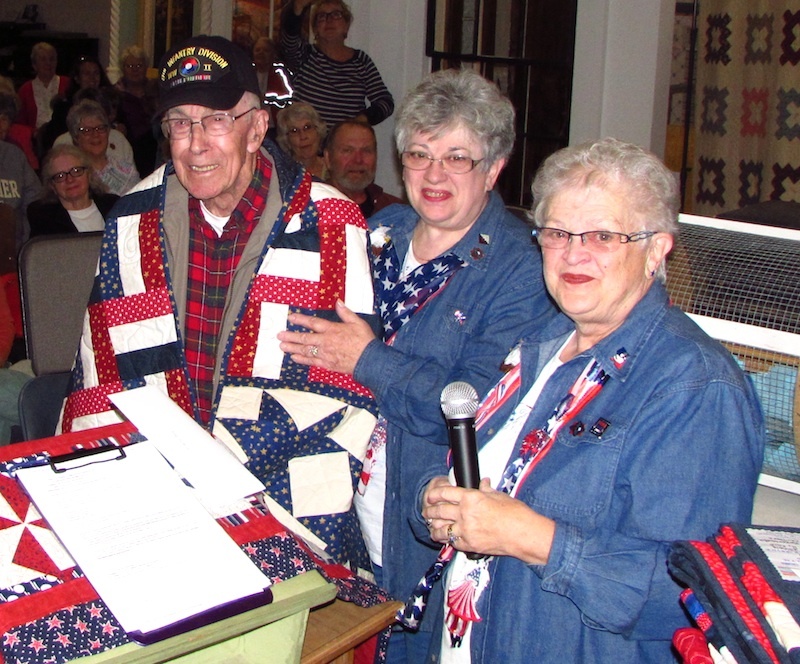 Sue Bruss and Jan Meyer presented quilts to veterans Don Perkins of Woodstock, Ed Haldeman of Harvard and Leonard and Eleanor Pawlikowksi of McHenry – as well as a surprise presentation to Coast Guard veteran Bill Schweitzer of Crystal Lake. 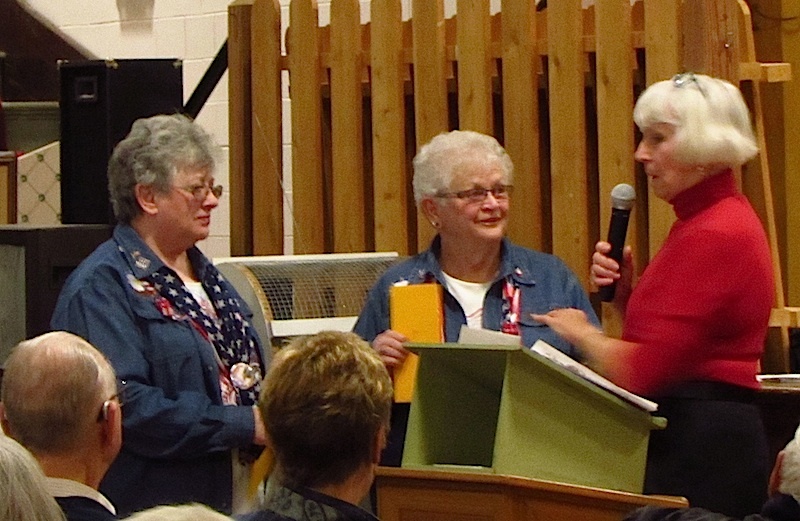 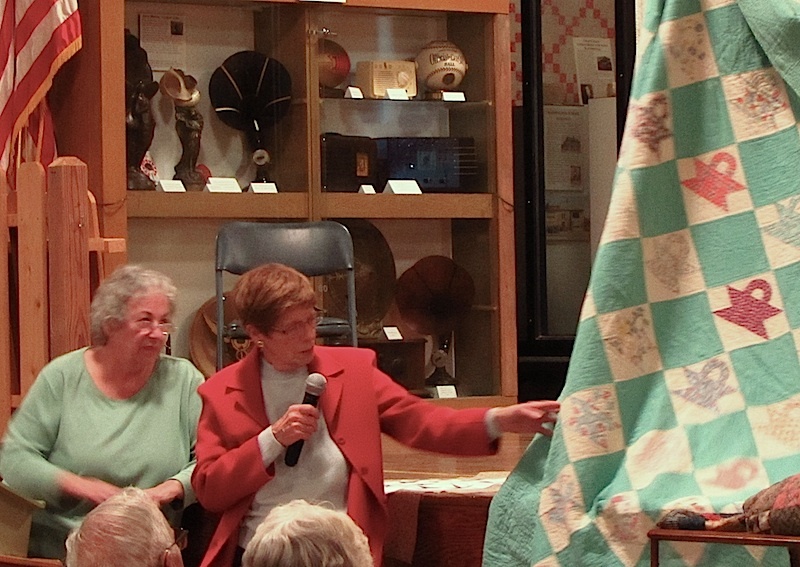 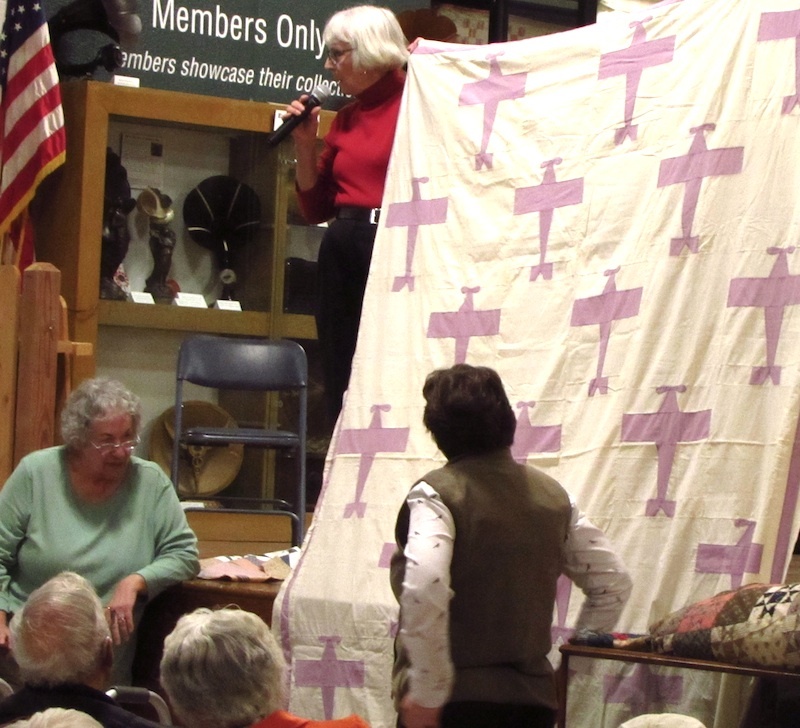 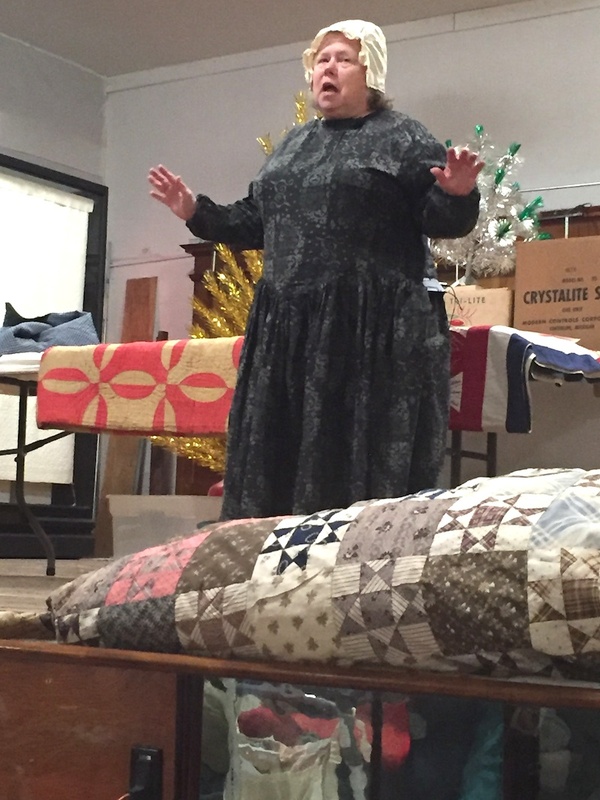 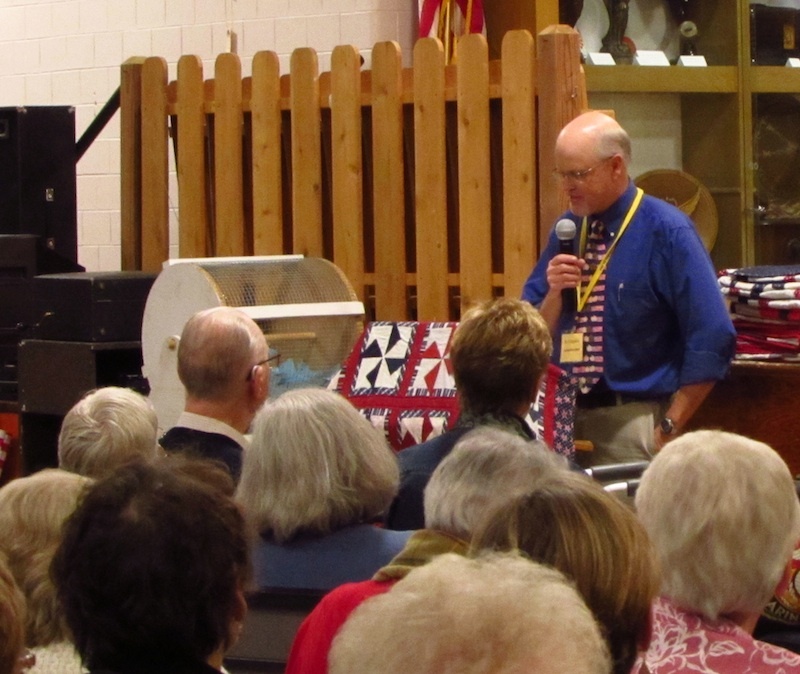 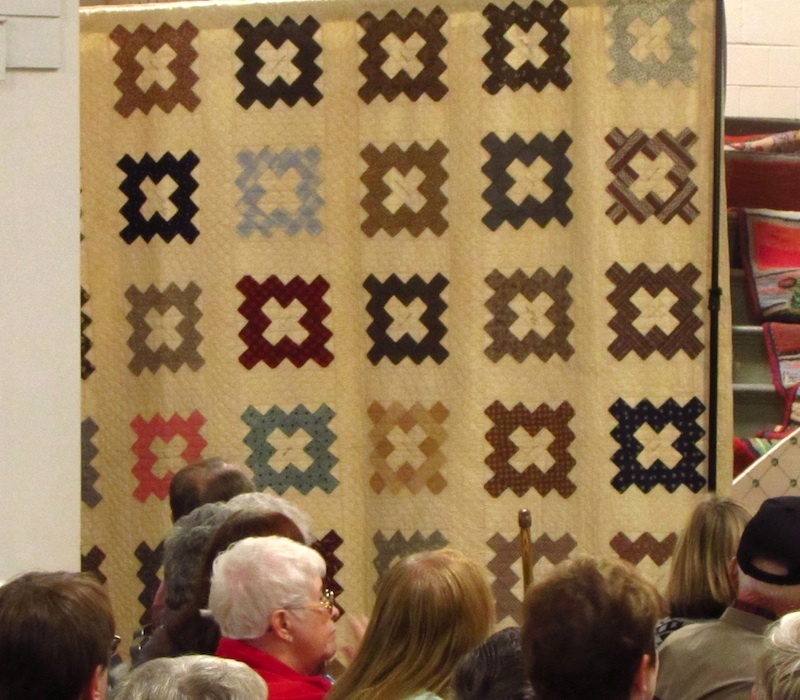 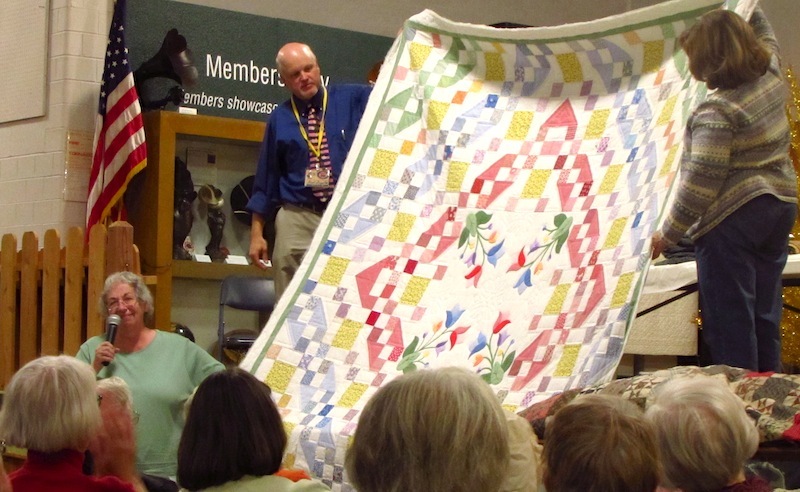 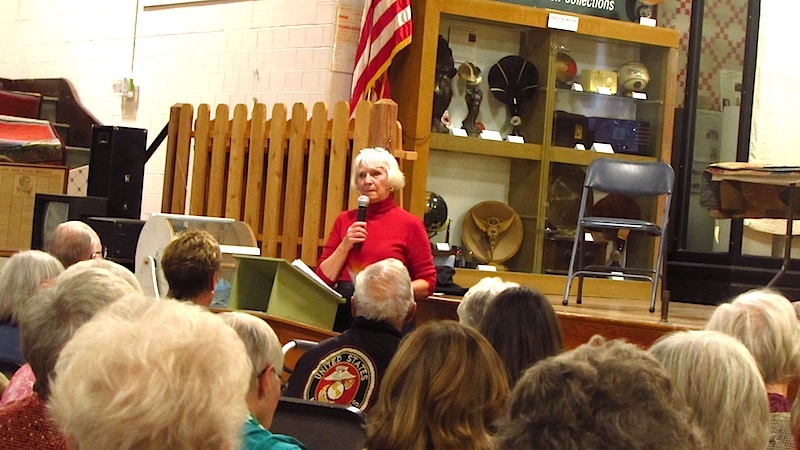 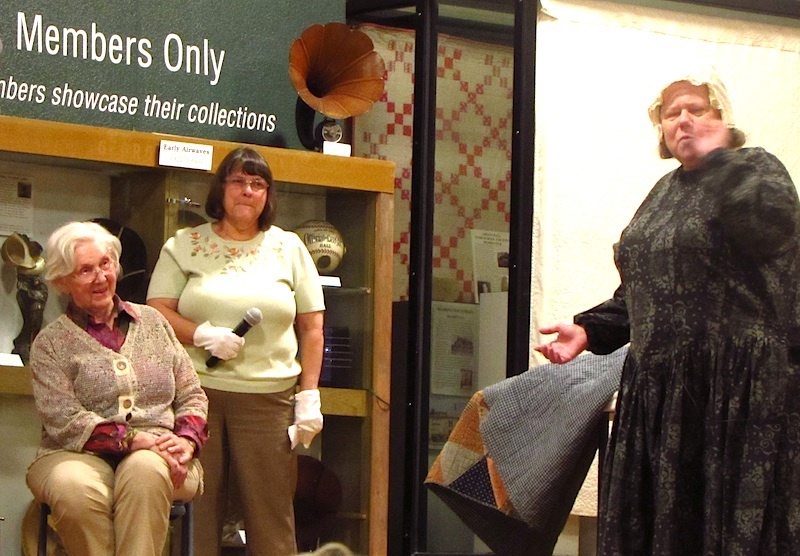 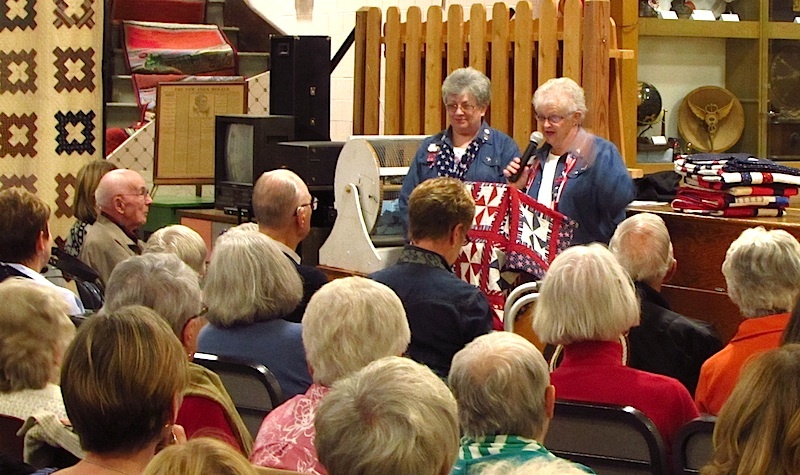 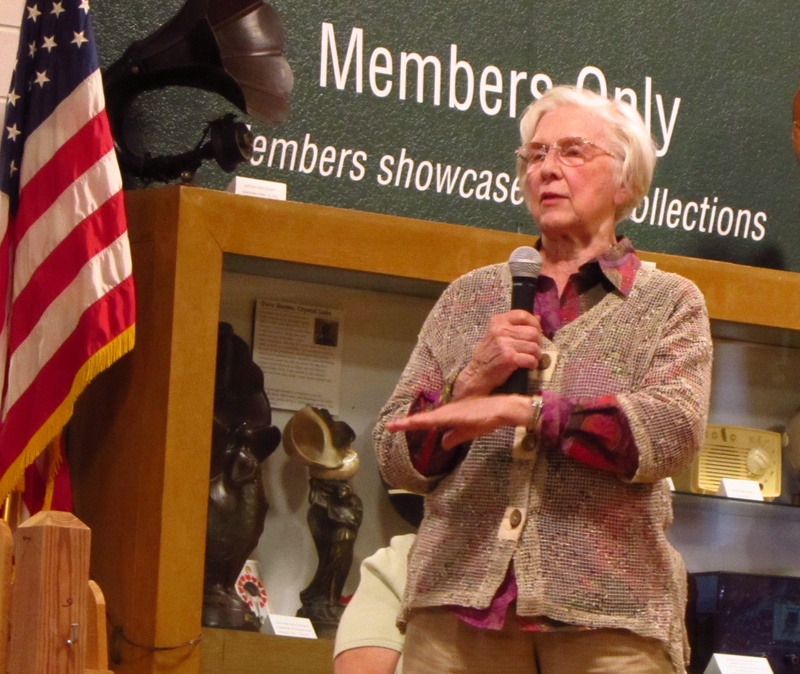 It was followed by a presentation of some of the museum's Civil War quillts, a presentation of a small, "Mood Indigo" quilt to Heritage Quilter Carol Stone and a show and tell. 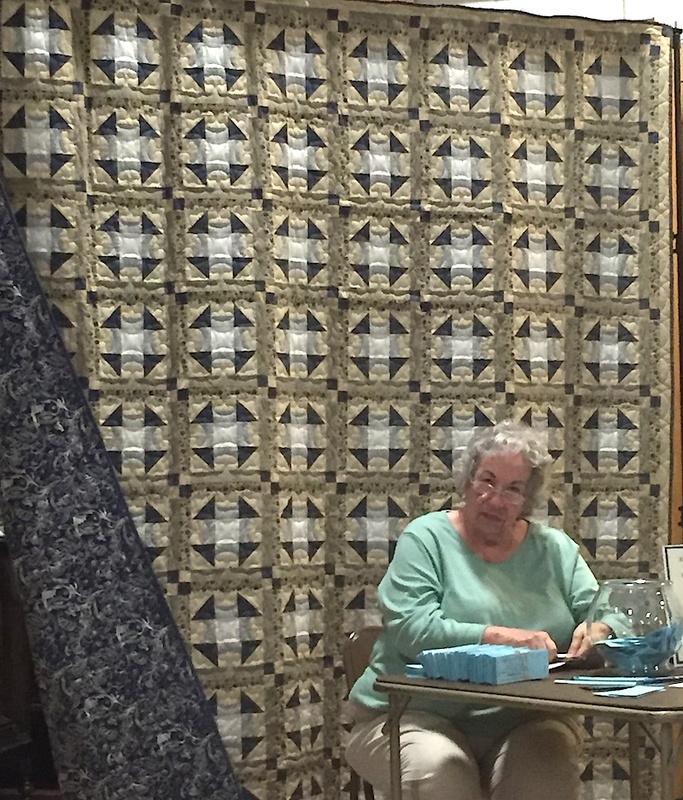 Jan Kvidera of McHenry was the winner of this year's Heritage Quilters' effort – a churn-dash pattern featuring indigo fabric. 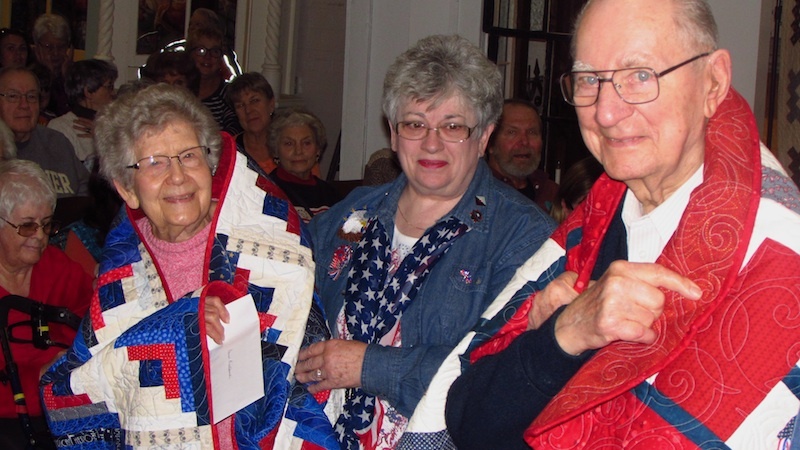 Kvidera, a Crystal Lake native and long-time supporter of the Society who now makes her home in McHenry, said has bought many quilt raffle tickets in the past but never won. 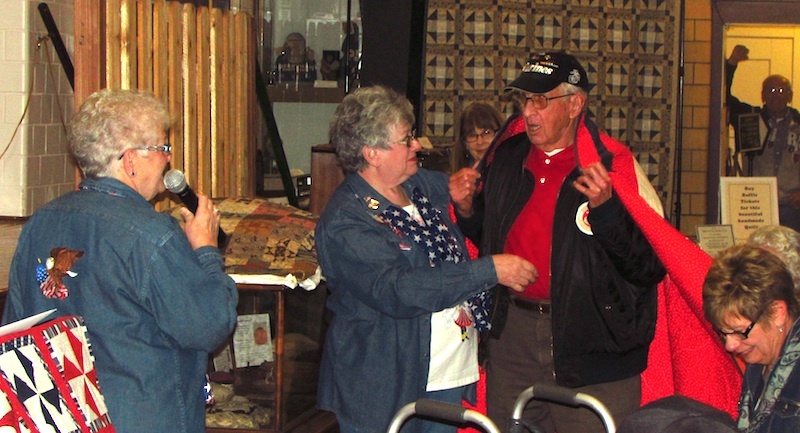 She purchased the winning ticket at our booth at this year's McHenry County Fair.